Chromium is an essential trace mineral whose role in our body is to help maintain normal blood sugar levels. Chromium may perform this function by assisting insulin in pulling glucose (sugar) out of the blood and into the cells. It may also help our bodies maintain healthy levels of HDL the "good cholesterol". 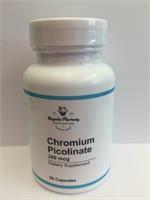 The chromium picolinate form is being studied for its potential role in altering body composition. It may do so by assisting in fat loss and lean muscle gain, thus helping the body maintain a healthy weight level. 200mcg. 90 Capsules. Other Ingredients: Gelatin (capsules), (May contain one or more of the following: rice powder, magnesium stearate and silica). 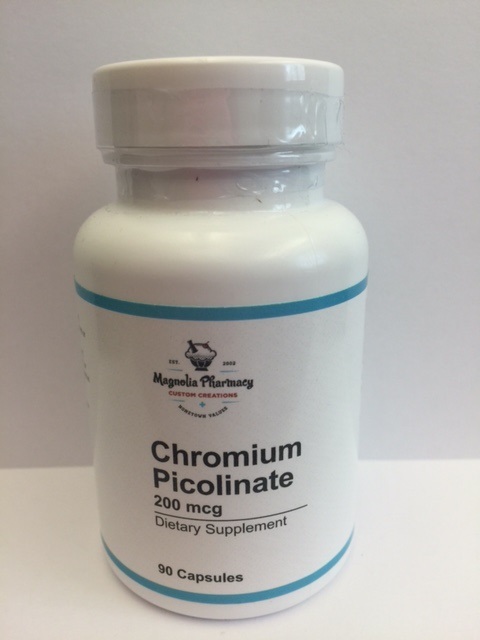 Our Chromium Picolinate is 100% pure crystalline powder and is patented by the United States Department of Agriculture under U.S. Patent number 4,315,927.